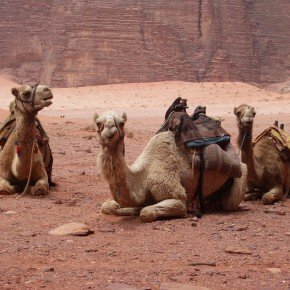 Have you ever heard of the straw that broke the camel's back? Sometimes I'm reminded of that saying when I'm doing boring repetitive tasks on my computer, like downloading all of my Instagram photos to my iPhoto library. The other day I was chatting with my friend Abe on Twitter, and he reminded me of this really interesting website, that aims to let you automate online things. It's called IFTTT, which is short for “If this, then that”. The idea of the site is that you can set up little automated interactions, called recipes. Each recipe is a simple programming statement made up of one trigger (if this), and one action (then that). If this, then that. 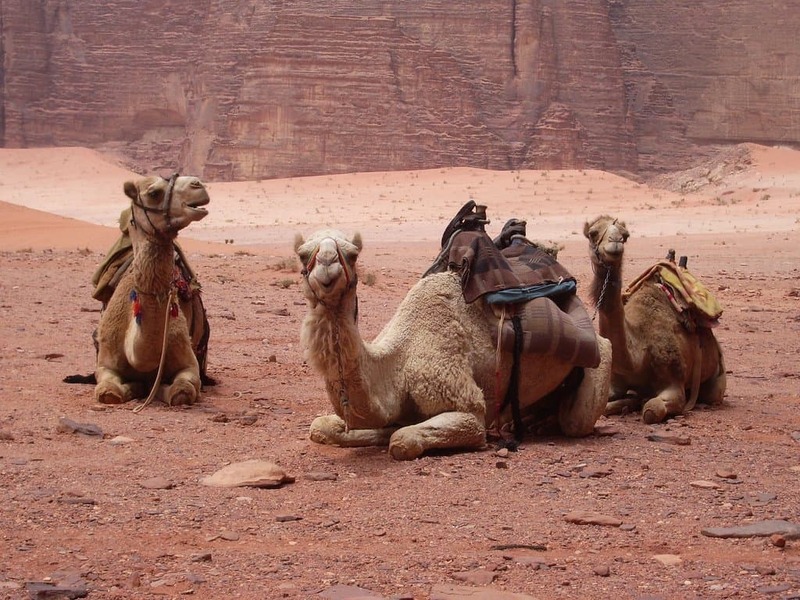 If I take a new photo on Instagram, download it to my Dropbox. If tomorrow's weather forecast is calling for rain, send me a text message. It's not that these kinds of things were impossible before, but you just needed to understand API's and programming if you wanted to set up this kind of custom search and action. What IFTTT does is take something really complex, like web programming, and makes it exceedingly simple through pleasing graphic design and a smooth user interface. IFTTT gives you a user friendly shortcut to making the internet work the way you want it to. If that wasn't easy enough, there's even a database of recipes that you can search and use use. You don't even have to come up with the ideas yourself. You can simply see what other people have used it for and replicate. So how do we use this thing? Here's an example from real life: As you may know, I'm currently in building a tiny house on wheels myself. I've been borrowing a chop saw from a friend, but it became clear that I needed to own one because it's such an important tool for building. These are hot items, so when they get listed on Craigslist, they go fast. I could spend all day searching on Craigslist (and not working on the house) or I could just decide to search every day or two, and get disappointed when I called and found out that the item had sold. I chose neither. Instead, I set up a recipe on IFTTT to send me a text message whenever a new chop saw got listed on Craigslist. I like to start by clicking Browse, so I can see what recipes already exist. If I want IFTTT to do something, chances are someone else has already gone through the work of setting up a recipe. Type in something simple. For my Craigslist example, I just searched “Craigslist text message”. The first search result looked good. Click on the arrow next to the recipe you want to use and fill in the required fields. For Craigslist, you'll have to paste in the search results URL. Finally, click Use Recipe and you are up and rolling. 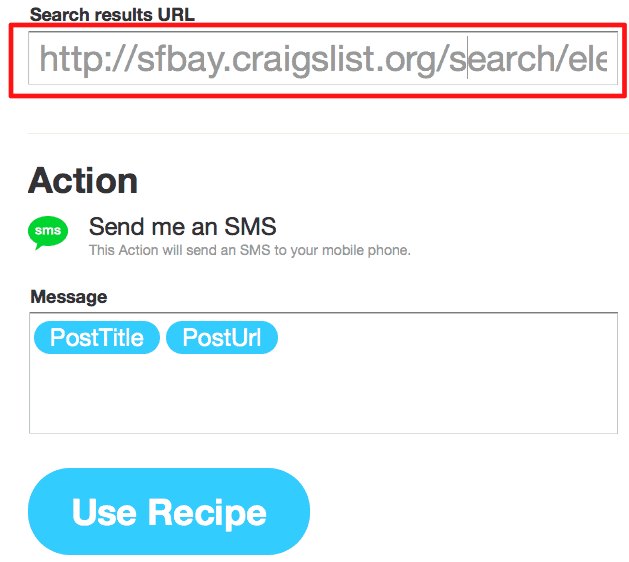 IFTTT can interact with Craigslist, SMS, Email, Twitter, Dropbox, Instagram, LinkedIn, Gmail, and Facebook, to name a few. There are actually too many to list. If you've ever found yourself thinking “I wish that site X and site Y could talk to eachother…”, IFTTT can probably make it happen. IFTTT is definitely a bit nerdy, but it is squarely aimed at people who don't have programming knowledge but want to do programming-dependent things. Despite the clean user interface and pretty design, I think that us average folks are usually scared away from such services. How inclined would you be to use it? 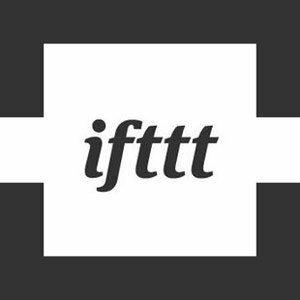 Here's what I'm wondering: Can you think of a way you'd use IFTTT? I challenge you to take 10 minutes and set it up. Give it a try and go for it. You may be pleasantly surprised at how fun and easy it is to set these things up, and you have the satisfaction of getting the internet to do exactly what you want it to do.